Get closer to the action than ever before! GameviewAR brings your favorite eSports and sports into augmented reality so you can watch them from every angle. See replays, top moments, and live games with a brand new perspective. Welcome to the Knockout League, an arcade style boxing game built from the ground up for Virtual Reality. Fight a crazy cast of characters with different fighting styles to become the champion! Grab has extensive experience creating AR/MR for mobile and HMDs (head mounted displays). Our work brings everyday objects and products to life and turns your surroundings into an experiential playground of animations. Step into the shoes of the famed assassin, John Wick. 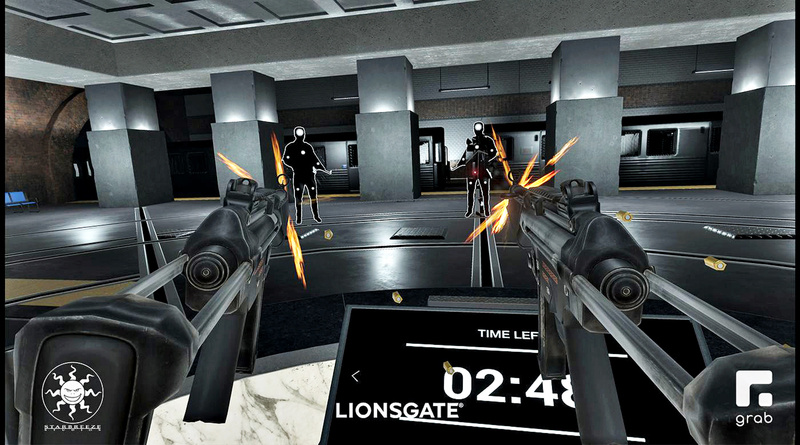 Position tracking allows users to perform actions such as walking, ducking, and dodging by moving their body, and shooting, grabbing, and throwing by using the VR controllers. The game was made in conjunction with Starbreeze, WEVR, and Lionsgate. Grab’s Gold Miner franchise includes popular online and mobile games, which have been played over 3 billion times. The Google Cardboard Team partnered with Grab to build a VR version of Gold Miner, which became one of the first mobile games to launch in the Cardboard. Grab creates immersive 360 video experiences. For more information check out Grab360.